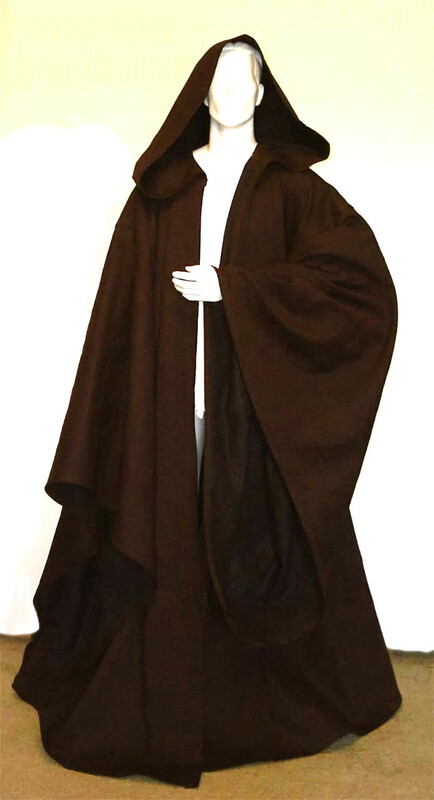 The High Councilor Style like our Master's Robe is a full bodied robe with no shoulder seams. 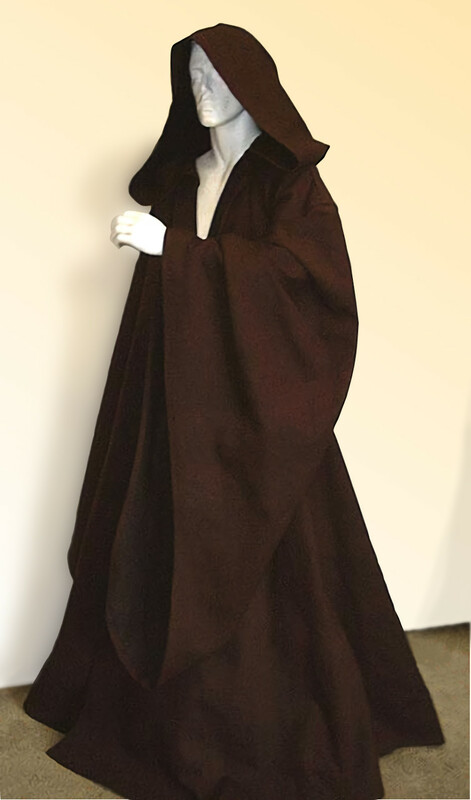 It has the same hood as our Master's Robe and extra large sleeves that nearly reach the floor and can be extended to any length. Bottom weight poly/cotton twill gives them great drape, washability, AND wrinkle resistance! The fabric has a tight weave meaning this is no thin, see-through garment. Each seam is turned under and sewn flat. No raw edges or wimpy overlock stitching. Sturdy like a solid pair of jeans that will last you for many years. As with the Mystik Master Robe, we will custom fit! From Baggins to Groot and all heights between, XXXXXL or XXS, we will custom tailor your robe to fit you perfectly -- at no extra cost! 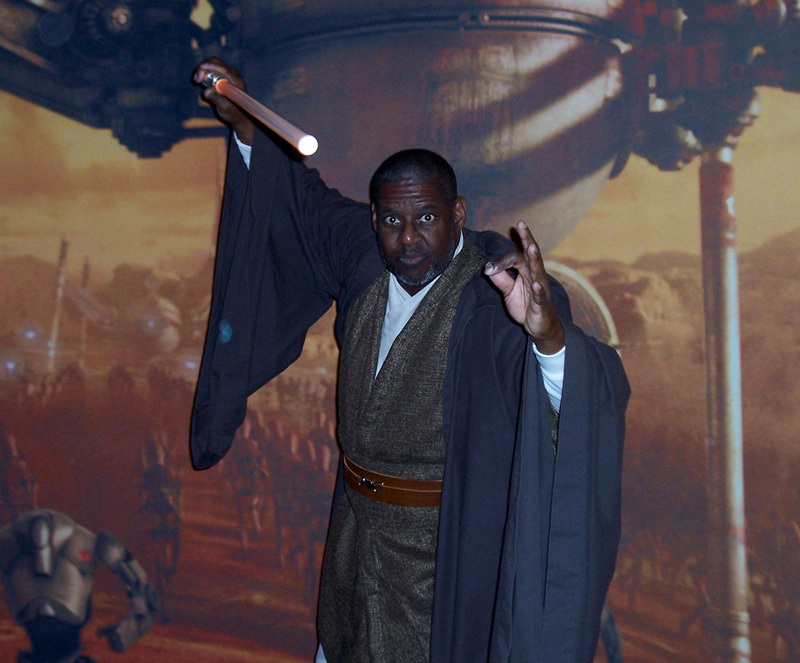 Costume suggestions: Mace Windu, Merlin, Grim Reaper, Voldemort, and many others. No shoulder seams, extra large hood, and extra large sleeves. Like our other robes, the hem should float above the ground. This robe was too long for our much shorter mannequin. Satisfied customer showing the High Councilor Robe in action!